ALAQSA CARPETS IS AGAIN BACK WITH DOUBLE BONANZA SALE!! 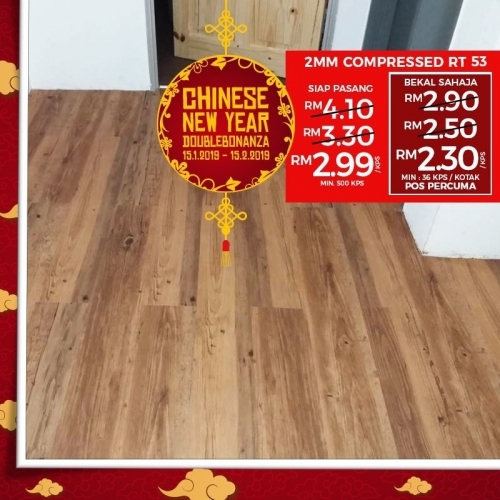 BEST OFFER FOR CHINESE NEW YEAR!! Trust ALAQSA!! IT'S BEST CHANCE TO GET BEST FLOORS AT CHEAPEST PRICE!! Vinyl flooring is ideal for all areas of the home & work. They are great for kitchens, family rooms, bathrooms, laundry rooms and any other areas susceptible to water or high traffic. We also have many carpets, vinyl flooring, carpet tiles & many home decor products in store with the SALE price! !